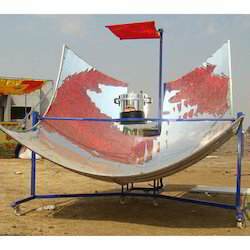 Manufacturer of a wide range of products which include prince 15 domestic solar cooker, sk- 14 domestic solar cooker, prince 40 concentrator solar cooker, parabolic solar cooker, box type solar cooker and prince 60 concentrator solar cooker. Reflectors are prefixed in a factory. 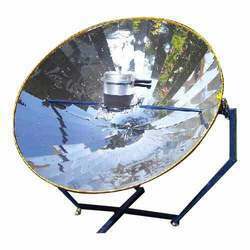 The reflector is supported by a strong fabricated structure and hence dish shape is protected against strong wind, stone or ball hits etc. Very compact packing can be transported even on head load. Since solar energy is plentiful and free of any cost, it is wiser to make the finest utilization of this natural reserve in every probable way. 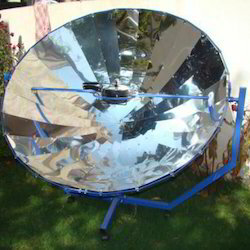 Keeping this in mind, we offer our clients with an outstanding range of Parabolic Solar Cooker, which makes use of solar energy for cooking food. Our parabolic cookers are decidedly demanded by our customers owing to its cost-effectiveness and environment-friendliness. 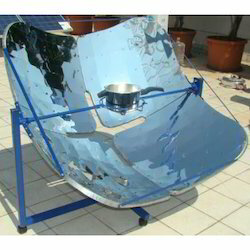 Low-cost Solar Cooker, suitable for a small or low-income family. Cooks meals for 10-15 persons daily. Simple to assemble and comes with easy to follow instructions. A regular Pressure cooker can also be placed for cooking. The range of our wide quality products also includes Box Type Solar Cooker, which are extremely competent and dependable in its performance. We are busy in the manufacture and supply of these solar box cookers. 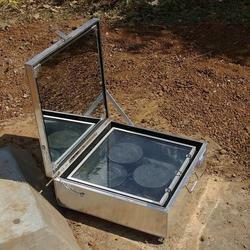 We make use of tremendous quality materials for the manufacture of these solar box cookers. 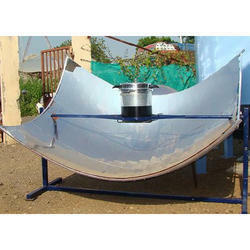 These solar box cookers are normally used to harness the heat energy from the sunlight to perform cooking.